Four operators will be able to offer mobile broadband in the 800MHz band, which is especially well-suited for rural areas, after a spectrum auction in Sweden, local telecommunications regulator PTS said on Friday. The operators paid a total of 2.05 billion Swedish kronor (US$324 million) for the auctioned licenses. The spectrum is technology neutral, but the operators have signaled they plan to use it for LTE (Long-Term Evolution). The 800MHz band's signal propagation requires less infrastructure than high-frequency bands to provide wide mobile coverage, so mobile broadband can be provided in rural areas at lower cost, according to industry organization the GSM Association. Also, one of the licenses comes with the prerequisite that 300 million kronor of the total cost go toward extending broadband coverage to households that now have no high-speed Internet connection. That license was acquired by Net4Mobility, which is a joint venture between Telenor and Tele2. The other two auction winners were TeliaSonera and Three. Besides covering rural areas, the 800MHz band is also good at penetrating walls for indoor coverage. However, there are also drawbacks with the 800MHz band. There is less available spectrum, so operators only get 20MHz, which is half of what is needed for maximum LTE performance. In Sweden, TeliaSonera, Tele2 and Telenor already offer LTE in the 2.6GHz band. There is enough available spectrum in that band globally to allow operators to offer the highest speeds, but it comes at the cost of diminished indoor performance. Services in the 800MHz band will launch when modems become available. Modems that support LTE over both 800MHz and 2.6GHz, and can fall back on HSPA+ (High-Speed Packet Access) are expected to be available in the beginning of 2012, according to Peder Ramel, CEO at 3 Scandinavia. The U.S. and Germany have also auctioned off spectrum that was previously used for analog terrestrial TV. 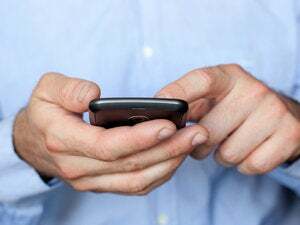 More countries are expected to follow in their footsteps, including France in the first half of 2011 and the U.K. in the first half of 2012, according to telecommunications regulators ARCEP and Ofcom.